Ethiopian Airlines Pilots Followed Boeing’s Safety Procedures Before Crash, Report Shows – Satenaw Ethioopian News & Breaking News: Your right to know! ADDIS ABABA, Ethiopia — Just two minutes after takeoff, the captain of the doomed Ethiopian Airlines Flight 302 said the plane was having problems. Pilots then began having trouble controlling the aircraft. In the plane’s short and fatal flight, pilots initially followed safety procedures recommended by Boeing, performing actions on the emergency checklist, including cutting off electricity to an automatic system that was pushing the nose down. But they were still unable to prevent the jet from crashing, according to an initial report by Ethiopian investigators. About six minutes after takeoff, the plane went into a fatal dive that killed all 157 people on board. The report, released Thursday, laid out a timeline of the flight based on analysis from 18 Ethiopian and international investigators and information from the jet’s flight data recorder and cockpit voice recorder. The investigators’ initial report was released several hours after a news conference held by Ethiopia’s minister of transportation. The data showed that shortly after liftoff, a crucial sensor that measures the angle that the plane is moving through the air, began fluctuating wildly on the pilot’s side, falsely indicating that the plane was close to stalling. The sensor, one of two sensors on the plane’s nose, began giving readings nearly 60 degrees different from that of its counterpart. About a minute and a half after takeoff, after the pilots had performed routine tasks like retracting flaps on the wings, the false reading appears to have set off an automated system known as MCAS, the black box data shows. MCAS is intended to prevent a stall and began rapidly pushing the nose of the craft down. Moments after takeoff, one of two crucial sensors that measure the plane’s angle of attack diverged wildly, eventually triggering an automated system that pushed down the nose of the plane. The pilots countered that by pushing electrical switches on their control wheels that adjusted the angle of stabilizers on the tail of the plane, which had been moved by MCAS. About five seconds after the pilots tried the right the plane, MCAS again engaged, moving the stabilizers to a dangerous angle in another nose-down action. The pilots pushed the electrical switches again. Then, the report says, they followed the emergency checklist and disabled the entire stabilizer electrical system using the so-called stabilizer trim cutout. 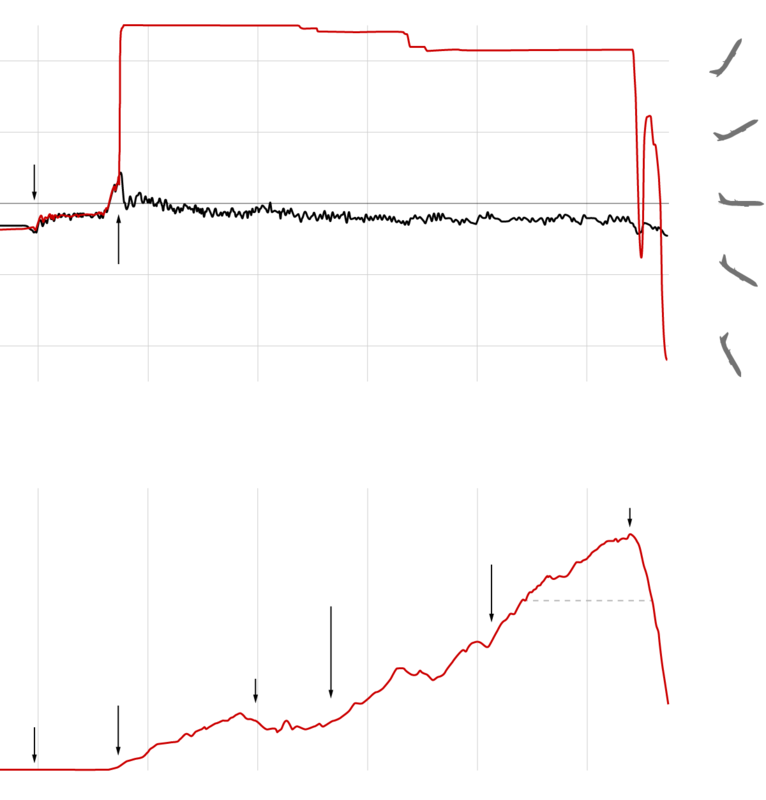 Soon after, the black box data indicates, the crew turned electricity back on and tried two more times to move the stabilizers by hitting the switches. But once they turned the electricity back on, MCAS engaged again, putting the plane into a dive from which it would not recover. The crash of Ethiopian Airlines Flight 302 on March 10 followed the unrecoverable nose-dive almost five months earlier of another jet of the same model, a Boeing 737 Max 8, in Indonesia. Indonesian investigators have implicated MCAS in that disaster, in which the plane’s computer system appeared to override pilot directions based on faulty data. The initial findings are likely to heighten scrutiny of the Max, Boeing’s newest and top-selling generation of jets. Since the Ethiopian Airlines crash, airlines worldwide have grounded their Max fleets, amid concerns over the apparent propensity of MCAS to malfunction when fed erroneous data.